What is the microfiber blend ratio? Nothing beats the look of a flawlessly waxed car paint. And you’re gonna need to use one of these best car wash mitts to get your ride cleaned up before waxing! If you’re just like me (I’m a stickler for cars, particularly the paint finish) then you will do everything in your power to avoid scratches and swirl marks in the paint finish. It all begins in the washing process. 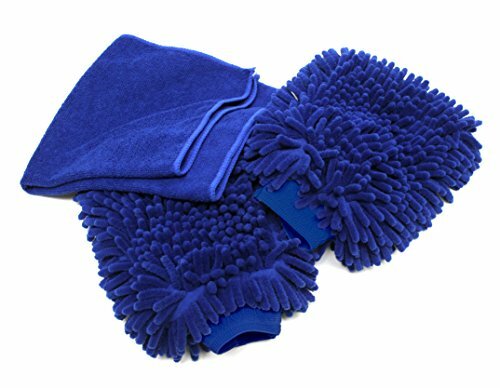 If you’re still using a dirty sponge or cloth towel to wash your car, then it’s time you consider the best microfiber car wash mitts. Microfiber wash mitts are now the preferred choice of professional detailers because they make the job of washing the car so much easier. Simply using a microfiber towel to clean and shampoo your car is the easiest way to prevent swirl marks and light scratches on the finish. Of course, microfiber towels alone will not eliminate those pesky swirl marks. You will need a good quality polish, carnauba wax, and lots of elbow grease for that. But paying attention to your vehicle washing habits will significantly decrease the occurrence of imperfections in the paint. Prevention is the best cure, and the same holds true when it comes to protecting and preserving the paint in your ride. Exceptional quality microfiber cloth with incredible dirt lifting and grime busting abilities! The Chemical Guys Chenille Microfiber Wash Mitt costs around [see lowest price]. It is an extra plush, soft and absorbent car wash mitt with a microfiber blend ratio of 70/30. It is equipped with a double-stitched elastic cuff so you can wear this like a glove when washing your vehicle. 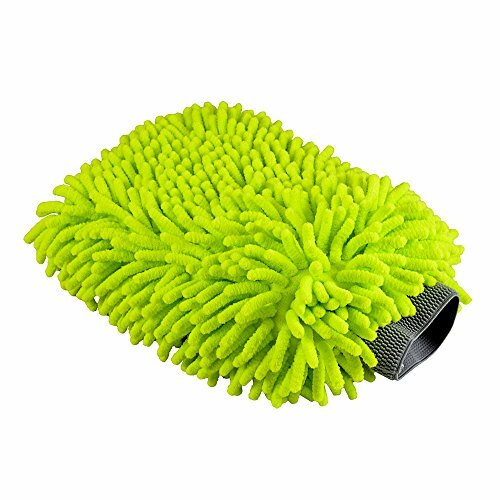 Equipped with big and fat caterpillar strands, this wash mitt is specifically designed to be extremely absorbent so you can wash your car with relative ease. This wash mitt is also machine washable. Simply throw it in the washing machine after each use and let dry. In order to retain the lint-free properties of the Chemical Guys Wash Mitt, you should wash it separately from other cotton or cloth rags. I like this wash mitt not because of the price, but I like the absorbency of the material. I also noticed a bit of leftover lint from the paint when I was drying my car. This cleared up after the first wash or two. THE BEST QUALITY CAR WASH MITT ON AMAZON! BUY A 2 PACK FOR THE BEST VALUE! DELIVERS A LINT-FREE, SCRATCH-FREE SHINE! Double Sided chenille microfiber! 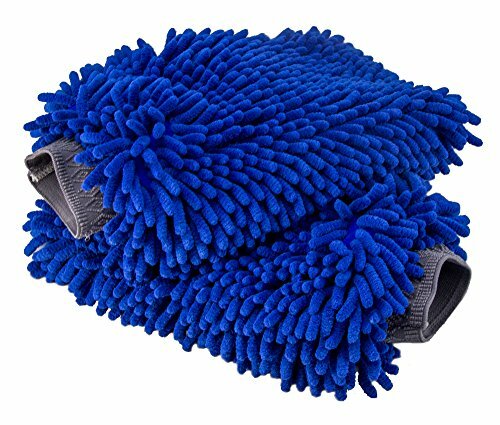 The Relentless Drive Ultimate Car Wash Mitt is a 2-pack of extra-large microfiber wash mitts for… Well it’s actually a little more expensive than the Chemical Guy Chenille pad. It has a blend ratio of 80/20 and is composed of double-sided chenille to soak up more water and soap than regular wash mitts. Tip: Buy the Extra Large version. It’s only a couple bucks more and worth it! This a professional quality washing mitt that prevents scratches and swirls while giving you a lint-free finish. I like the fact that you get 2 wash mitts in a single pack since I have three cars in my arsenal. It is also a great wash mitt to use inside the home. I used this to clean glass and worked perfectly the first time around. The Relentless Drive Ultimate Car Wash Mitt is also machine washable. I did have an issue with blue dye leaching inside my washer after the first wash or so. I also had issues with quality as one of the two wash mitts began to slowly deteriorate and fall apart after five or six washes. Still, this is a close runner up for the best car wash mitts! THE HIGHEST QUALITY microfiber wash mitt on Amazon. LIFETIME WARRANTY. SATISFACTION GUARANTEED. Highest density, most durable, longest lasting wash mitts on Amazon. Your complete satisfaction is 100% guaranteed. MORE EFFECTIVE CLEANING POWER than any car wash sponge. LINT FREE, NON-SCRATCH, VERSATILE: Use indoors and out, wet or dry. Dries quickly. The BlueCare Car Wash Mitt has a blend ratio of 80/20 and a density of 1500 GSM…. So it’s basically like the first couple mitts in our review roundup. The super soft microfiber yarns are woven into large caterpillar-like fingers to produce an ultra-absorbent and non-abrasive material. It does absorb a lot of soapy water but it tends to get heavy if you do so. However, I didn’t have issues with the wash mitt slipping off my wrist, unlike other glove-type wash mitts. This product comes in a pack of two wash mitts for less than [click for price]. You also get a bonus microfiber cloth that is perfect for wiping or polishing. 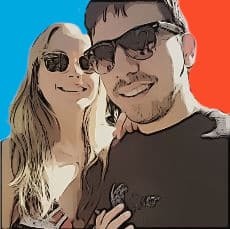 Make sure to get the “XTRA LARGE” version unless you’re buying these for your wife. I bought the Large and couldn’t fit it over my sausage fingers. Best value low cost mitt that we found – Half the price of all other mitts that we tested! When it comes to value, it is hard to compete with the Chaole Car Wash Mitts. 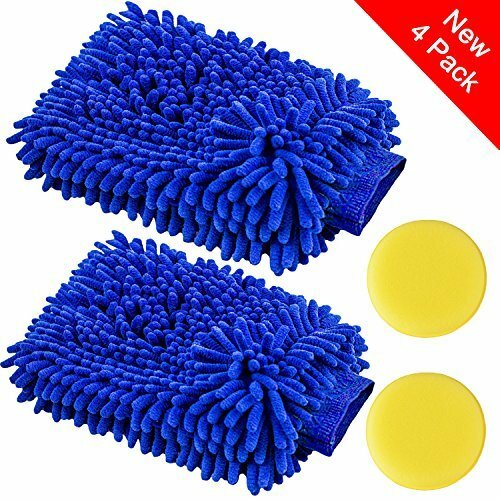 For a low price of less than [see lowest price], you get two microfiber wash mitts and two wax applicators (I think that’s what they are?). This kit has a dual-sided interwoven chenille design for added durability. These wash mitts are also equipped with a thick elastic band so you can wear it comfortably around your wrist, even when the wash mitt is heavy with soapy water. It is also machine washable and easy to clean. I also like the fact that it didn’t leave any trace of lint on the paint. It seems the thick chenille was woven tightly to prevent fibers from scattering all over the surface. If you got some real tough grime on your truck or jeep, take a look at the Detailer’s Choice Microfiber Wash and Scrub Sponge. Don’t let the name fool you. 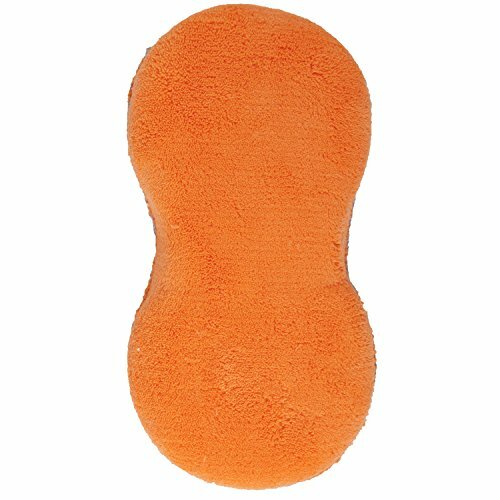 This wash mitt might look like a sponge, but it is actually two products in one. On one side, it is a plush microfiber wash mitt that can effectively clean dirt and grime and prevent them from harming the surface of the paint. Turn it over and you have a mesh side for gentle scrubbing. This is great for removing bugs/dead insects, tar, and tree sap from the paint without harming the finish. I also found out that this microfiber wash and scrub sponge is great for cleaning the tires and wheels in my car. Of course, you should buy a separate sponge for the paint but this product worked well in removing dried-out brake dust from my alloy wheels. Before delving deeper into our favorite car wash tools, here are a couple of things that you need to know about microfiber. Microfiber is a small synthetic fiber composed of two main materials: polyester and polyamide. Each strand of microfiber is about 1/100th the diameter of human hair. When a bunch of microfiber strands are sewn together, this creates the perfect material for drawing dirt, grease, and grime from the surface of the material. The blend ratio of microfiber wash mitts is the percentage of polyester and polyamide utilized in the material. For example, if your microfiber towel has a blend ratio of 80/20, this means that your towel is a blend of 80% polyester and 20% polyamide. The higher the percentage of polyamide in the material, the softer the towel. By varying the ratio of polyester and polyamide, manufacturers can enhance the toughness, softness, durability, and absorption characteristics of the microfiber mitt. Besides the blend ratio, microfiber towels are also classified according to density. The density of microfiber is expressed in GSM or grams per square meter. The higher the density, the softer and thicker the towel. For example, if your microfiber wash mitt has a density of 1500 GSM, then this will be thicker and more absorbent than a microfiber towel with 630 GSM. The easiest way to determine the blend ratio and density of your microfiber mitt is to check the tag. not this kind of washing! Avoid washing the car under direct sunlight. With that being said, you should never shampoo a hot surface. Let the vehicle cool down for a couple of hours before washing. Use separate towels for the paint, the glass, and the wheels. This alone will greatly reduce the occurrence of swirl marks in the finish. Swirl marks are basically microscopic scratches in the paint. Scrubbing the paint will create swirl marks. Every time you wash and dry your vehicle, you are creating friction on the surface of the paint. This is the importance of using the best car wash mitts and a high-quality chamois to wash and dry your vehicle. Reducing surface friction will inevitably slow down the formation of swirl marks. This especially holds true for black paint. Never wipe a dry paint surface with a dry towel. This holds true whether you are using a microfiber towel or terry cloth towel. I would also advise against using feather dusters to remove dust from the finish. If you want to get rid of thick dust, then why not wash the car altogether? Always wet the paint with clean water before washing with car shampoo. Use a garden hose and spray water on the hood, roof, and trunk of your vehicle. This will remove loose dirt and grit that might otherwise scratch the finish upon washing. It is best practice to rinse away thick dirt and mud with a separate wash cloth. You should do this before each wash. Using the ‘two bucket method’ is an easy way to prevent swirl marks. Fill the first bucket with clean water, and mix car shampoo with water in the next bucket. Dip the wash mitt in clean water after washing each section of the car. This will help rinse out dirt and grit from the wash mitt. This will also prevent the wash mitt from contaminating the soapy water with dirt and grime. I really enjoyed using the Chemical Guys Chenille Microfiber Wash Mitt and the Detailer’s Choice 2-in-1 Microfiber Wash and Scrub Sponge. The former lasted longer than other wash mitts, while the latter made it easy to remove tar, asphalt, and dead insects from the paint. Both products also provide good value for money and have earned their place in our best car wash mitts guide. Nothing beats the look of a flawlessly waxed car paint. And you're gonna need to use one of these best car wash mitts to get your ride cleaned up before waxing! If you’re just like me (I’m a stickler for cars, particularly the paint finish) then you will do everything in your power to avoid scratches and swirl marks in the paint finish.